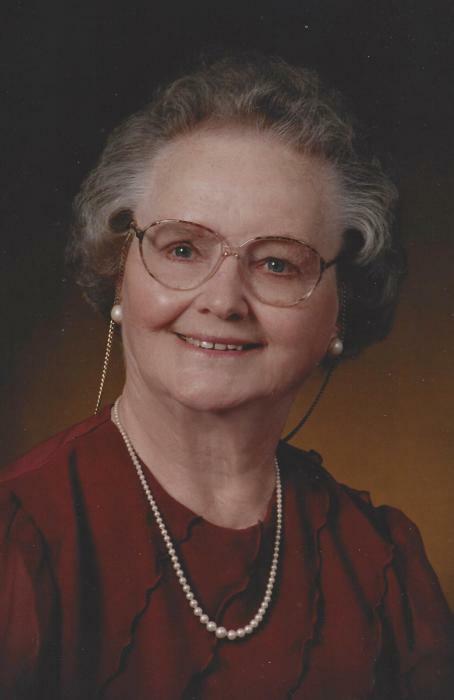 Dorothy B. Hendrickson, 93, of Paynesville, died Friday, March 29, 2019, at the St. Cloud Hospital. Her memorial service will be 11:00 am Saturday, April 13, at Nordland Lutheran Church in rural Paynesville. Burial will be in the church cemetery. A visitation will be held Friday, April 12 from 5-7:00 pm at Nordland Lutheran Church in rural Paynesville and continue one hour prior to the service at the church. Services are entrusted to Johnson Funeral Home in Paynesville. Dorothy Bernice (Pederson) Hendrickson was born October 25, 1925, to Dewey and Bernice (Jacobson) Pederson of rural Paynesville, Minnesota. She was baptized and later confirmed at Nordland Lutheran Church. Dorothy attended elementary school at District 20 in Meeker County and graduated from Paynesville High School in 1943. After high school, she enrolled in the Swedish Hospital School of Nursing in Minneapolis, graduated in 1946, and became a Registered Nurse. On June 21, 1947, Dorothy married Chester Hendrickson of rural Grove City, Minnesota. They farmed in partnership with Chester’s brother Orville and his wife Pearl on the Hendrickson family farm in Union Grove Township, Meeker County, for 34 years until Chester’s ill health forced his retirement from farming. Dorothy was a lifelong active member of Nordland Lutheran Church, where she served in many leadership positions. She was especially interested in music, singing in the church choir and ladies’ sextet, as well as performing solos. She also faithfully served as a member of the NLCW, Sunday school teacher, and worker in the church kitchen. When her children were young, Dorothy was a full-time mom. When her children grew older, Dorothy worked at Koronis Manor Nursing Home as a part-time R.N. Charge Nurse for 10 years. She also cared for several members of her family when they needed nursing care. Dorothy died Friday, March 29, 2019, in St. Cloud Hospital at the age of 93 years, 5 months and 4 days. She is survived by 2 daughters, Kay (David) Owen of Wayzata and Susan Warner of Paynesville; 2 sons, Thomas (Mary) Hendrickson of Paynesville and Richard (Jean) Hendrickson of Maple Grove; 9 grandchildren: Erik (Jane), Brook and Andrea Johnson; Brian, Joe (fiancée Becca Quimby), Jennifer, and Lindsay Hendrickson, Molly (Michael Northrup) Hendrickson, Megan (Nick) Jackson, and 4 great-grandchildren: Miles and Dean Johnson and Eliana and Isaac Northrup. Also surviving are Dorothy’s brother, Robert Pederson (Susan), and numerous nieces and nephews. She was preceded in death by her husband, Chester in 1987, her parents, and her sister, Margaret Anderson. Her children remember Dorothy as a dedicated Christian, loving and devoted mother, patriotic American, faithful friend and neighbor, and generous supporter of her congregation and community. She loved cooking, gardening, Norwegian baking, and Lake Koronis, and she had a hearty and ever-present sense of humor. Dorothy’s grandchildren will always remember the creative “treasure hunts” she hosted for them, and later the special joy of receiving a “grandchild of the month” letter. All who knew Dorothy were blessed, enriched and inspired by the example of her life. Blessed be her memory in each of us.